There are no comments for Latte Coffee Cup With Blue Dots. Click here to post the first comment. 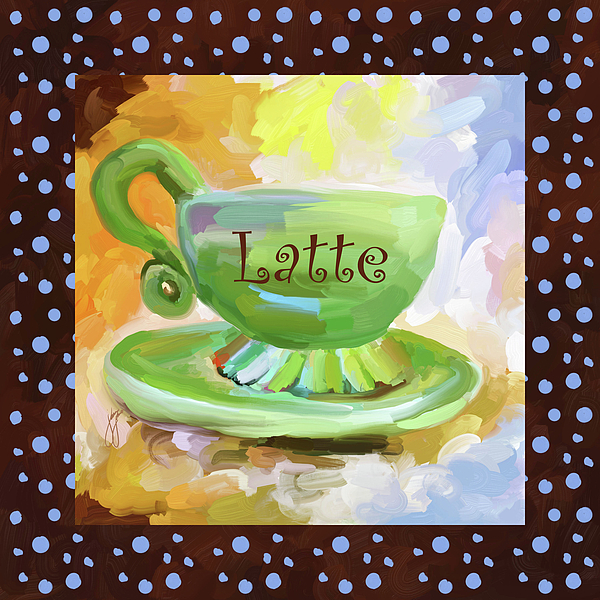 Coffee, a prized hot drink, comes in many flavors, varieties and blends to suit everyone. 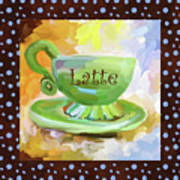 It also is known by many names, such as Java, Espresso, Latte, Mocha, and Joe. Coffee is not just a drink, however, it's an experience. Having coffee in the morning is often a calm, easy way to wake up and begin the day. A coffee break during working hours is always welcomed. And having coffee with a good friend as you share your life experiences creates memories to last a lifetime. 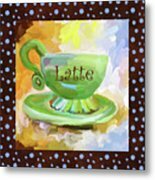 I've created four paintings depicting a coffee cup, featuring soothing colors of green, brown, and blue throughout. 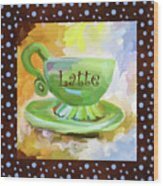 They're perfect for your home decor, and a fabulous way to invite a long lost friend back into your life -- to meet over a hot, steaming cup of the real stuff, of course.